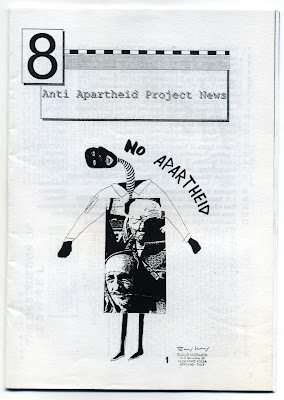 Number 8 of this documentation about this ongoing project managed by Boccato Gherardo (editor of The Brain of the Monster zine) and Alessandro Ceccoto of the mail art archive in Adria. I already posted the number 1 released in 1991 and the number 4 released in 1993. Also here a collection of good artworks by various mail artists and some news(in english or in italian).